I had a nice email back-and-forth with a colleague the other day discussing a new trend she was seeing in the field. As the conversation wound down to a close, I wrote that I looked forward to seeing her at the Apra International conference (Pittsburgh! August 8-11!). She came back for one last reply, saying that after nearly 20 years of going, the vice president of fundraising was asking her for justification of the expense. My first thought was: hey wait a minute – this email chain isn’t an anomaly. This colleague and I have had numerous conversations to discuss one new emerging trend or another, so it’s not as if she has stagnated in her job and doesn’t ‘deserve’ the continuing ed. This is someone who is still engaged and curious to learn after at least 20 years in the field. And I wondered – would the same restriction apply if she left and someone less seasoned came into her position? Would the VP need justification to send him or her? Did they think my colleague had just absorbed everything there was to learn? Although the cost of mistakes is far less life-threatening, I liken continuing education in fundraising intelligence to what doctors have to do. Even though they’ve gotten an MD degree, doctors are still required to do a certain amount of continuing education every year to keep their license to practice. 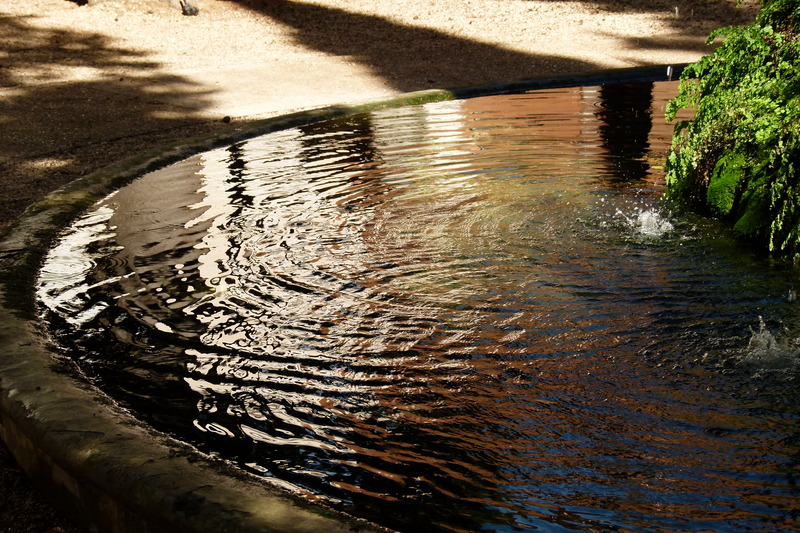 New discoveries, new methods, new therapies happen every day and they need to keep up. Fundraising intelligence professionals don’t have the advantage of that foundational degree – there’s no DFI, unfortunately. We have to learn our trade from others and then keep going to conferences and webinars and seminars to keep up on trends, resources, tools, and methods, not to mention international data protection regulations (that nearly every mid-to-large size nonprofit is going to be responsible for adhering to starting in May¸ just as a reminder). Prospect research is not just Googling. If someone is just Googling, then they’re not doing prospect research. They’re just Googling. And if the only tool someone has to do their work is Google, then they may do their very best but you’re still getting the end product you paid for. It’s like being frustrated with Forever21 because their clothes aren’t the same quality as LL Bean. The aggregated cost of prospect research is expensive. 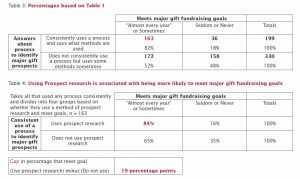 But everything to do with professionalized major gift fundraising is expensive (until you begin to factor in the return on investment). Continuing education for prospect research is just part of the cost of doing major gifts work. Just as plane tickets, and gas, and restaurant tabs, hotel bills, CASE dues, and AFP conferences are part of the cost of doing major gifts, so too are conferences and LexisNexis and iWave and Foundation Directory and Ancestry. Innovation, best practice, or even above-average competence only come when a person is trained to do the job. And just like in medicine, the methods, tools, and resources we use in fundraising intelligence change every day. Also, fundraising research may be expensive, but studies show that it really pays off. 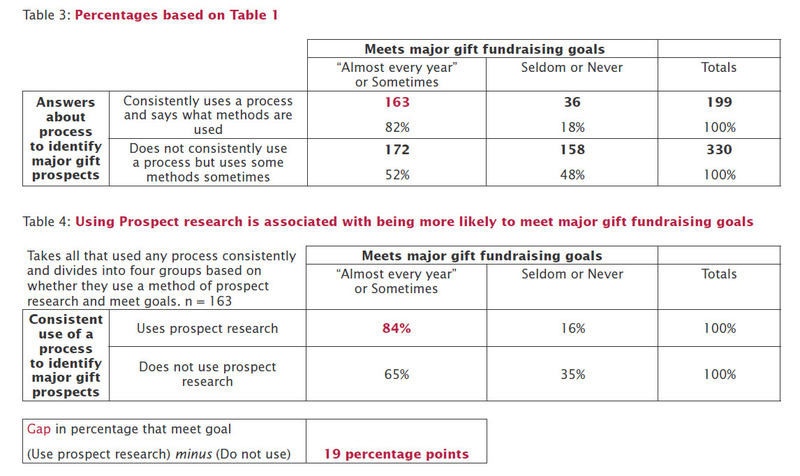 The recent 2017 Major Gifts Fundraising Benchmark Study funded by MarketSmart, sponsored by the Association of Fundraising Counsel, and researched by Melissa S. Brown & Associates shows that consistent use of prospect research to identify major gift prospects helps organizations meet major gift fundraising goals 84% of the time. Teaching people how to do it well just makes sense for the bottom line. Have you noticed that there is an increase in the number of really interesting job postings for people in fundraising intelligence lately? No? Well, there are. Including telecommuting jobs. If you want to hold onto a great team member – and pay raises aren’t in your budget – sending them to a conference or seminar is a great way to show them that they are valued. And if it’s not in the budget this year, proactively going to bat for a staff member so that the money is in the budget for next year is another good way to gain their loyalty and increase job satisfaction. If you are in a position where continuing education is valued, it’s incumbent on you to actively participate in the learning process when you are at a conference. Prove the value of the conference and benefit your colleagues-in-arms by bringing back the innovations that you’ve learned and applying them. Lift all boats: By applying what you’ve learned and sharing the value of continuing education where you work, you could help a prospect development brother or sister across town. How? When a frontline colleague leaves your organization to become a chief development officer at another nonprofit, their new head of research won’t have to justify why s/he needs continuing education. It’s also your responsibility to teach what you know to others. You don’t have to stand in front of a classroom of people to do that, either. There are all kinds of ways to share your knowledge. Writing blog posts, Medium articles, or Apra Connections articles, or doing a podcast, or sitting down for a one-on-one with an intern – it all counts. The entire HBG team is going to be at the Apra conference this summer. We look forward to seeing you there.